Esports programs are rapidly being adopted in colleges and secondary schools across the country. 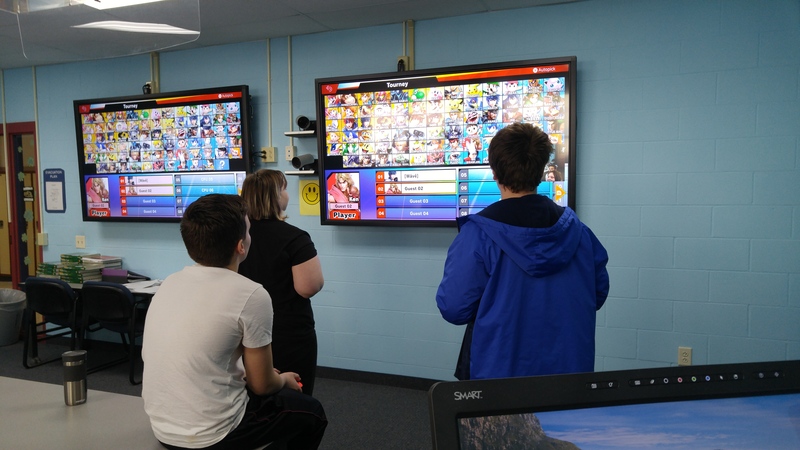 Last school year, Rensselaer City School District (RCSD) expanded an existing gaming club to include competitive esports. RCSD is a small urban district within a Pre-K-12 building with around 425 students throughout grades 7-12. Read on to learn what esports are, reasons for including esports in the education space, and the process undertaken to get the program going. Video games are an increasingly popular form of entertainment. Based on statistics from the Business of Apps, there were 78.3 million active players of Fortnite in August 2018. To add perspective, that is more than the population of any one U.S. state and more than the population of France. According to Superdata (USA Today), 258 million unique viewers worldwide watched esports last year. Amidst the rising popularity of Fortnite, I realized the time was right to expand the gaming club at Rensselaer High School to include esports. At its core, esports is a form of competitive video game playing. Much like traditional sports, esports can be played either on a team (Overwatch, League of Legends) or as an individual (Hearthstone, Super Smash Brothers). Think of it as football compared to tennis. Though esports can be played remotely against opponents, esports events can be viewed live with teams playing against each other in arenas or auditoriums. These live events are popular and are known to sell out arenas like the Staples Center in LA. Why do esports in school? Esports can encourage students’ interest in STEM fields, provide potential college scholarships, and foster a sense of belonging for more students within the school community. Esports offer a unique pathway to encourage interest in STEM fields such as programming, graphic design, networking, and video game design. Research suggests that gamer students are primed to pursue STEM in college and careers. Other fields in esports include marketing, broadcasting (streaming/shoutcasting), economics, and coaching. Essentially, if there is a complementary field in traditional sports, there is a comparable one in esports. High schools are also considering esports programs because colleges and universities are offering esports scholarships. There are currently 96 members of the National Association of Collegiate Esports (NACE), according to ncaasports.org. Tespa, another college esports organizing body, touts over 200 affiliated colleges and universities. Many of these colleges are now offering esports scholarships to qualified applicants. As a result, high schools are now considering esports programs of their own. Even though esports is one of the most popular forms of entertainment amongst youth, there is often no place to share their enthusiasm for esports within the school community. Schools that adopt an esports program can reach those students who may feel they don’t have a place within their school to be with their friends and share their passions. Some students find their place in the drama club or music program, others in traditional sports. Students who feel a connection to school and are involved in extracurricular activities are more likely to stay in school and graduate. Programs can take many trajectories and my method is by no means the only way or a preferred way. Program implementation will depend on a myriad of factors, including student and district leadership, funding, and district initiatives. I ran the Minecraft Club for several years and knew there was a collective interest in digital gaming at school. I needed to know whether changing to esports was worth pursuing and how I might go about it. What games did students play? How familiar were students with esports? I did a brief esports survey on Google Forms and emailed it out to all students in grades 7-12. The responses quickly came in. Out of about 400 students, I received 58 responses. 77.6% of respondents thought we should have an esports club. 41% said they were “very familiar” with esports. I immediately had students at my door asking about esports at our school. Unfortunately, most PCs in the school were phased out for adoption of Chromebooks. The esports league I joined would therefore require students to compete from their own devices on their own time at home. I called and emailed several leagues before deciding to join the High School Esports League, because they allowed students to play in large tournaments from home. With a game-plan in place and data in hand, I looked for Board of Education approval of esports. I decided to change Minecraft Club into the Gaming and Esports Club. The school board was gracious and accepting of my attempt to expand extracurricular options for students. The limitations on the program were that the club would not cost the district any additional money and league games and first-person shooter (FPS) games would be played only at home. There were a few things I changed to encourage esports. First, I asked around and gathered game consoles, TVs, and games. Students then had a choice to play card games, board games, or video games during club meetings. Both students and I could see who was interested in which games. The most popular title became Smash Brothers, which is one of the games I will focus on in the future for esports development. Previously, our meetings were held in the computer lab, but we moved to the Distance Learning room, as it had a larger space with several tables, chairs, and large flat-screen TVs. To connect everyone, I had initially made a Google Classroom for the club, but soon found that gamers did not want to meet through Google’s platform. Instead, I started a Discord Server for those in the club to communicate outside of school. Very few students were willing and/or able to pay the $15 registration fee to participate in HSEL tournaments, along with the fact that gamers in my club felt overwhelmed and inferior when considering a large tournament existed as another obstacle. I discovered that students were less interested in large national play than smaller local play. This year, I have focused on developing a Smash Brothers Ultimate intramural tournament and putting together a team to compete in a live, local Black Ops 4 (BO4) tournament. Both promise high interest and no cost. The use of console games like Smash and BO4 is intentional. Developing a robust esports program requires PCs to handle the games. Students often do not have computers at home, especially in districts with high poverty rates. Gaming computers are typically higher-end computers to achieve high frame rates to render graphics. Though some games can run on older, less powerful computers (Hearthstone, League of Legends), newer and more powerful PCs are a necessity for a serious esports program. Consoles such as the Switch, PlayStation 4, and Xbox 1 are inexpensive by comparison and much more commonly used amongst students. A continuous challenge is the negative perception video games have in society. There is a pervasive perception that gamers are sixteen-year-old males who eat pizza while playing games in the basement. Gamers, though, are varied and don’t fit a single archetype. I think many teachers would be surprised which students are gamers, from the class clown to the varsity cheerleader. There is also the misplaced fear of First-Person Shooter (FPS) games such as Counter Strike: Global Offensive (CS: GO) and BO4. As always, district administration and the IT department are essential to the process of adopting new technology related programs. I found that including them in program initiatives and changes serves as an essential component to moving forward. The ways to start an esports program will vary as much as school districts vary. I know of programs that are student led, some that are teacher led, and others led by a mix of stakeholders. Currently, esports is very much “wild west” with no one league, games, or rules. For that reason, flexibility is as important as collaboration and networking. Join the Capial Region esports Discord!